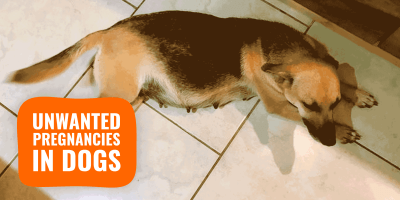 Top 12 Successful Dog Breeding Tips — Genetics, Kennels, Books, Etc! Years ago when Breeding Business started, there was very little accurate and easily digestible knowledge available for dog breeders online. We have changed all of that by publishing, several times a week, incredible articles pertaining to kennel management, dog breeding, canine genetics, breeding techniques, and so on. 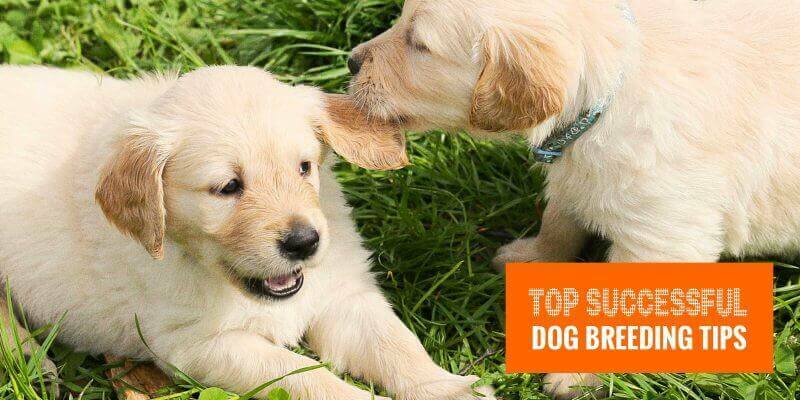 We have received thousands of emails from our audience since then, and they often ask for top tips for dog breeders. Here we are, listing great tips for novice breeders, so you can get better at it within weeks once you apply these! As any breeder will soon learn, the most successful dog breeding tips in any breeding business are the ones most commonly overlooked as just mere simplicity. In this case, breeders must fully retain the information available in all reading materials found in books and online assessments. This can’t be stressed enough. The more you know, the better your business will flourish. There is an expansive library of information readily available to the user who is willing to take the time to learn. In this day and age of technology, there simply is just no excuse for the breeder to not be fully informed. A breeder must be fully knowledgeable regarding how canine genetics function. Order online e-books, buy relevant books on the topic, read group chats and dog forums to obtain the latest news and trends, and take advantage of the online Wikipedia. 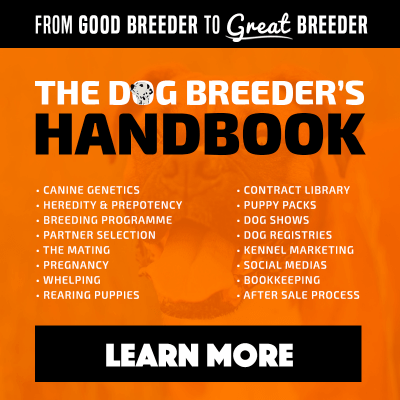 As for books, one of the must-haves for any breeder is our own bestseller, The Dog Breeder’s Handbook, which includes the most fundamentals topics from genetics and whelping, to breeding stock and nursing. Check out some of the other best dog breeding books our site offers. Often times, many breeders make the mistake of not applying their learning faculties to the maximum by putting their assessments to the real test. One of the most pivotal dog breeding tips in the business is becoming intimately familiar with the unknown. The very concepts you don’t understand regarding dog breeding will be the concepts that hinder your success in the long run. For the most part, some of the most common dog breeding topics that are generally not fully grasped by breeders are canine genetics and hereditary laws. These two concepts are absolutely key to a successful breeding program. 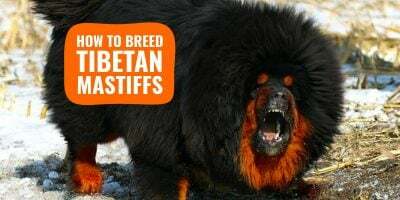 It’s important to increase your knowledge about recessive and dominant genes, hereditary diseases, how to understand a dog’s pedigree, and also chromosomal anomalies. These prime subjects make up some of the most difficult aspects in the business, yet they make such a difference and are absolutely crucial to one’s understanding. Just like in any business, you’re going to make mistakes, and sometimes the same mistakes over and over until you get it right. It’s normal! In fact, it’s healthy. It’s how we learn, grow, and evolve into eventual mastery. Unfortunately, many dog breeders make the mistake of being rather stubborn and not submitting to their mentors and other qualified professionals who attempt at giving them sturdy advice. Resisting someone else’s help by not being able to accept constructive criticism will only hurt you in the long run. In order to make this more manageable, you need to remind yourself that criticism is in no means a way of devaluing you and your ability. Quite the contrary. If someone is offering you criticism, in a constructive and respectable manner, it’s because they care enough to see you succeed, yet with their experience, they know what challenges lie ahead on your professional journey and want to help you avoid those same errors. Furthermore, it’s the only way you’re going to witness any viable progress and the only way to better your dogs for generation after generation. So, don’t just accept it, but welcome it and encourage it! Attending local dog shows, or even national events which will give you more of an edge, will give you that head-start in touching upon the etiquettes and rules of the business. A breeder can get a better grasp on the quality of the dogs up for competition. The upside to this is that show judges tend to give invaluable feedback to the participants and you can learn a lot by paying close attention to what qualities they look for in the winners. 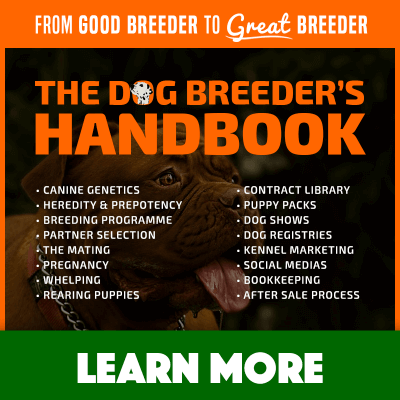 If you’re new to the dog breeding business, then it’s imperative you obtain the help that will lead you to your desired goals. It goes without mentioning that the people who are going to help you the most are the ones who have experience in the designated field you are venturing in. In this case, you want to find yourself a trusted mentor who knows a thing or two about breeding dogs and who can provide you with the best of the dog breeding tips on the market. Highly reputable people who fit the bill as an influential mentor are other breeders and show judges. 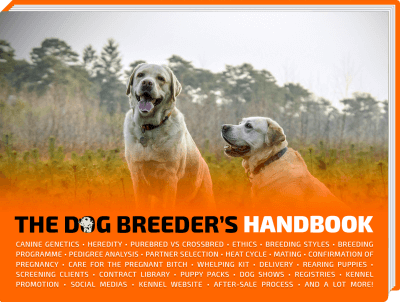 Other breeders have been where you’re at and can guide you to make accurate decisions. They know what kind of dog to look for and have experience with the genetic results of their canine integration. Judges, on the other hand, have seen just about all there is when it comes to the best dogs to showcase to the public. You can find these mentors directly by emailing your local or national breed clubs. Make sure you email all of them as some may not reply. 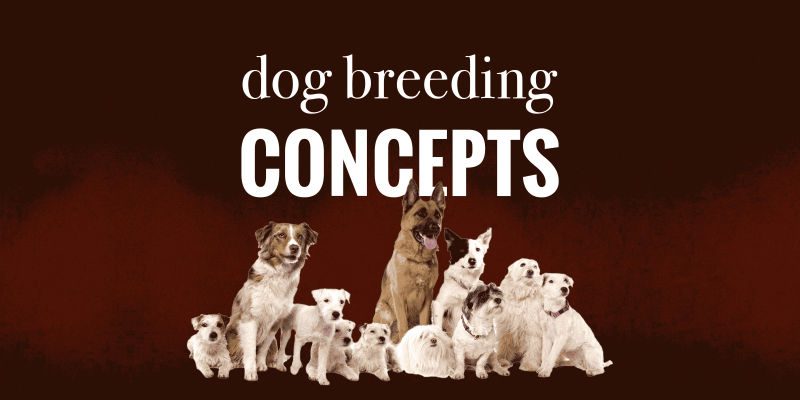 As much as the idea may not seem too appealing to the new dog breeding participant, it’s actually a great way to not only network but to get the inside scoop on what’s going on in the dog world. As previously mentioned, breeders who have relevant experience in this field know how the process works. They are often the simplest, yet most beneficial, help in any new breeder’s life. They already have years of experience with dog mating, therefore the dog breeding tips they can provide are of genuine esteem. If you plan on breeding dogs for your first time, you need to immerse yourself with other dogs who are being used for the same purpose. One idea is to pretend to be a customer yourself. You would ask the relevant questions that a normal customer would ask a dog breeder and pay attention to the responses you get. Don’t be afraid to ask tough questions! In doing this, you will gain an invaluable insight into the many facets of your professional endeavors. The best advice is to set up appointments to actually facilitate a visit to the breeder’s house where the dogs for breeding are kept and where most of the process is taken place. Don’t be picky or discriminate on the breed you want to study as this will only prove to be more restrictive than helpful. Discuss common topics with the breeder such as pricing, health checks, breeding conditions, etc., and take mental notes. The internet is brimming with various online forums and social media platforms that it would be impossible for someone to not learn a few things from the internet. We live in highly advanced technological times, it’s no wonder some of the top leading experts in dog breeding are scouring the online boards to conduct open discussions. Message and group boards provide an open forum for passionate breeders to interact and give free advice from all corners of the globe. The most common, yet probably the most effective, online platform is Facebook. Most people have it and it’s proven to be quite convenient. Facebook provides various dog breeding groups that are narrowed down to specific-type situations. You can join groups that are breed-specific, for example, and share knowledge of your desired dog breed with other users who also own the same breed and have experience with them. Other groups to choose from are related specifically to dog breeding, mating dogs, dog health, and most conveniently, location-specific. You can find dogs and dog breeders in your local area. Additionally, a simple search on Google will provide many more online forums depending on your specifics and even YouTube allows its users to communicate and share under the played videos. do you know all the names of your breed’s founding studs? do you know the last “Best of Breed” at Crufts? If not, then you’re not as expert as you may think, and you have much to learn. It’s simply not enough to be somewhat knowledgeable about the breed you are working with, you need to reach expert status. Being an expert requires thorough research and much repetition. Often times, it requires the reading and re-reading of the same material until you practically have it memorized. Once you know everything about your breed, you will be able to comfortably answer any question that gets thrown at you. Additionally, you’ll have more flexibility in problem-solving when challenges arise in the future because you will be fully informed and prepared. The goal is to attain mastery level in any business venture so that you can be esteemed as a leader in your community. 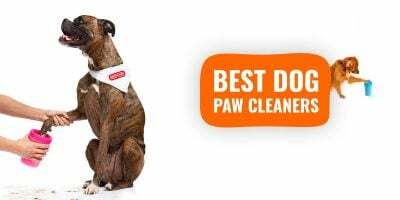 But most importantly, being an expert about your breed means you are a trustworthy candidate to take optimum care of your dogs within an ethical and moral standard. Dog breeding is a down-to-Earth realistic activity. So, logically, it requires a realistic and reasonable approach. Your goals should be attainable. It’s often a common misconception in the dog breeding industry that “shooting for the stars” and aiming to fly high in your goals is the way to encourage immense success. That couldn’t be further from the truth. In fact, you will be more likely to see tangible results from your efforts when setting smaller and more reasonable goals. What normally happens when we aim too high in our goals is we forget to see the obstacles that are bound to present themselves throughout the journey. With every problem, you need a solution, which will require you to set another goal or to tweak the goal you currently have. Setting smaller goals also allows you more room for error and flexibility when you know what you’re aiming for is doable and easier to attain, thus, less pressure. Furthermore, small goals give you that necessary confidence boost once in a while. We all need little wins to keep going. When you know you have finally reached one of your goals, you are more likely to feel encouraged to continue. Likewise, setting long and unattainable goals will likely discourage you and actually may result in you quitting prematurely. Consistency is key and staying within your reasonable limits will give you more control of the eventual outcome. No valuable kennel would thrive without scheduled and standardized organization. In fact, it’s virtually impossible to get further as a dog breeding without being systematically organized in such a way that any missing piece of information regarding your plans and goals can easily be identified in a chart, graph, or list. Not only does it serve the purpose to keep a breeding kennel organized, but it shows other breeders and potential customers that you are serious about your work. Many dog breeders make the mistake of forgetting key points in their breeding plan and that one tiny crucial step one forgot to document can actually make or break a kennel’s name. We recommend starting a journal or blog. It could be anything from a daily or weekly update on your personal social media platform. In this case, you already have an audience that is keeping up with your activities in their newsfeed. Starting a blog is a great idea. The best thing you can do is to be completely honest in your struggles regarding your professional activities. It’s important to be consistent with this documenting plan. Over the months of updating, blogging, posting about your breeding business you will surely gain quite a following from other peers. This will help immensely when the time comes to breed the first litter. You can even check out our guide on how to create your own professional kennel website for a very low price. Often times, there are breeders who have been known over the years to do their business, make a sale, and then forget about that sale entirely. We highly advise against doing that for any responsible dog breeder, whether you’re a seasoned breeder or you’re new to the business. It doesn’t make you look professional in the public eye. People will notice if a breeder does not hone the same care he had for his dogs prior to the transaction after the sale has been made. Basically, don’t be that breeder who never again makes a call to the customer after the done deal. Or don’t be the breeder who practices negligence to your customer’s future requests and questions in the future. Just because you made a sale, does not necessarily indicate the relationship between seller and buyer is over, in fact, it may just have begun. Try to keep in contact with each client and attempt to obtain any news and information regarding the pups every few months. You want to see how your pups have evolved so you can see any errors in the breeding and try to rectify any flaws. Finally, this last dog breeding tip is critical, yet happens to be the hardest to accomplish especially for new dog breeders. You need to remain objective throughout your dog show appearances and conversations about your own breeding stock. It’s a fact. It’s very easy to fall into the habit of making this business a personal one because after all, these are animals and they are our animals and naturally we have an affection for them. They are your pups and of course, you are going to think they are the cutest, yet it can’t be stressed enough, do not judge on a dog’s cuteness. Your prime objectivity, in this case, will be to judge based on the dog’s breed standard. Additionally, judge according to the reasonable goals you have set for your business. Basically, you want to dismiss dogs who don’t exactly “fit the bill” according to your standard and to the personalized breeding program (that you should have created by this time). Just keep in mind, dismissing doesn’t mean you’re rejecting them, it just means you won’t breed that dog again. This serves more as an aid for future planning and remaining in control of the process.